We start this DVD with the back and what each input and output can do for you here's a little help with setting the outputs in the program section. Using the sequencer is a lot of fun but you need to set the right quantize value, you always want to play it back the same way you played it it's important to set the right timing correction. This DVD will teach you how to use your MPC3000 to make great music. You'll learn features like sampling, sample editing, how to place samples in a program, how to use the filters to change a samples frequency, MIDI, always make sure that you have the right midi channel that you want to record to and the track is set for midi not drum. We use Syncing and Time Code features, we explain them in this DVD also. We also cover the best way to save your samples, programs, sequences, and songs to disk and how to load them. 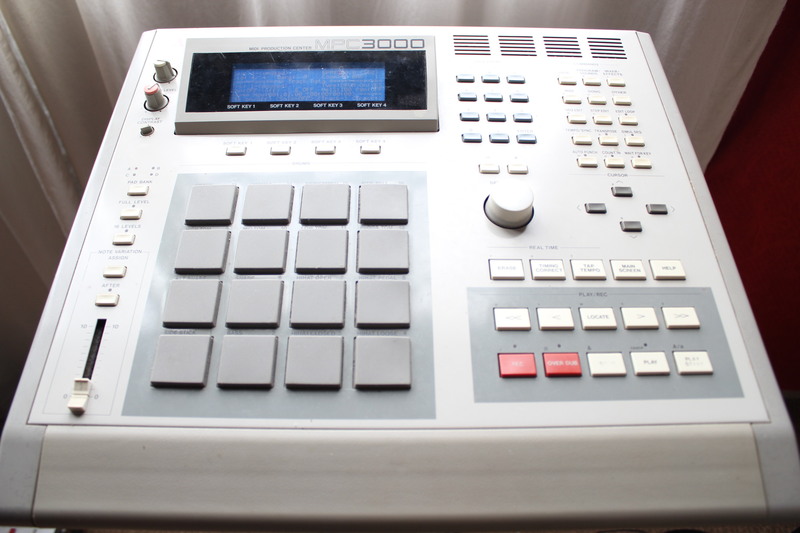 The MPC3000 is not just an sampler, it's an Music Production Studio with a great midi sequencer. Many famous artists and producers from Dr. Dre, Premo, Puff Daddy to DJ Shadow to The Chemical Brothers use it and now you can to You'll learn the best way to save and load your samples whether its to floppy disk, a zip disk. This DVD covers everything you need to know to use your MPC3000 to its full potential for your production.